Cherry Hill West girls tennis also qualified for the postseason in the South Jersey Group III bracket. 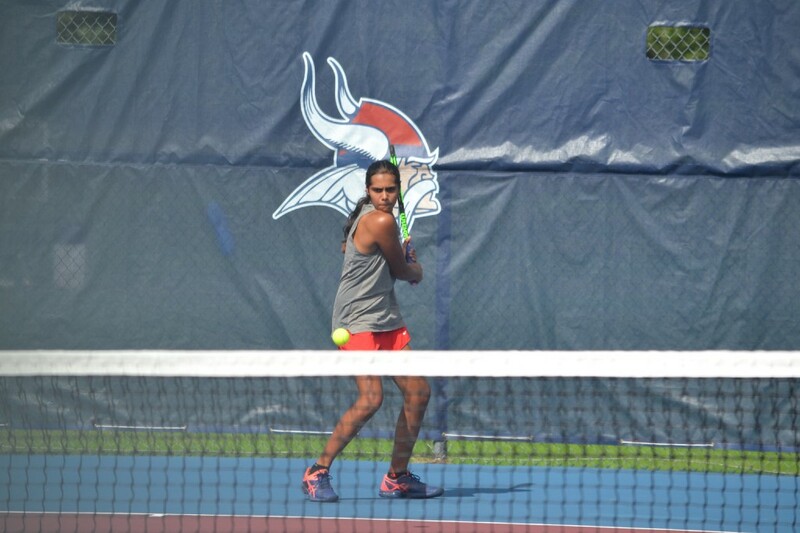 Cherry Hill East girls tennis’ Pallavi Goculdas will lead the top-seeded Cougars this postseason. The start of the girls tennis playoffs is right around the corner and both Cherry Hill East and Cherry Hill West will be taking part in this year’s postseason. The NJSIAA released brackets for the 2018 girls tennis playoffs yesterday. Cherry Hill East received a top seed in the South Jersey Group IV sectional. The Cougars will have bye in the first round and will await the winner of №8 Toms River North and №9 Atlantic City on Thursday. Cherry Hill East’s quarterfinal match will take place early next week. Cherry Hill West received the №14 seed in the South Jersey Group III playoffs and will hit the road for their first round match. The Lions will make the trip down the shore to play №3 Ocean City in the first round on Wednesday. The match is scheduled for 2 p.m.